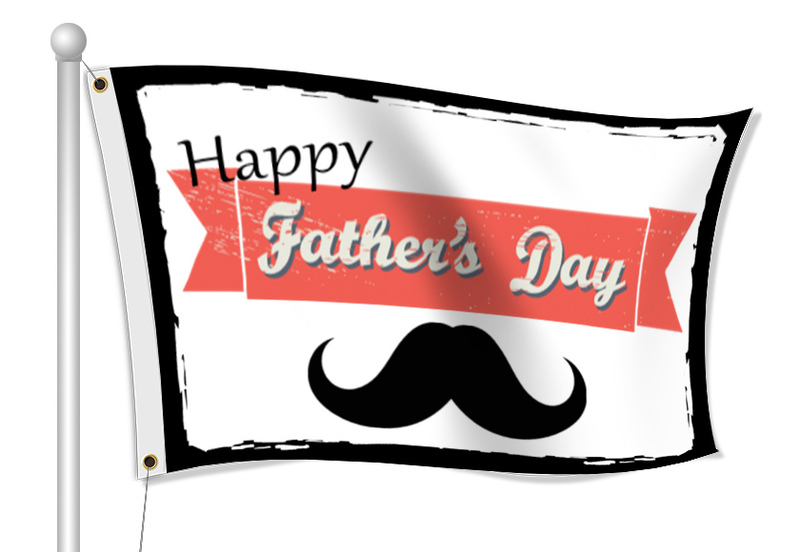 Order Custom Fabric Flags to Advertise for your Father's Day Events - Full Color Printing & Fast Shipping! You can use flags to decorate for Father's Day! We have lots of templates available for you to customize. You can add a background, text, clip art and upload your own images. The flags can be reused each Father's Day, or you can create a new one every year.